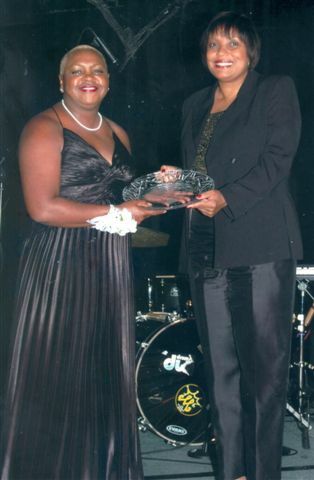 Awards « House of Hope Christ-Centered Recovery, Inc.
Rosie’s selfless passion to see others set free and healed from unhealthy lifestyles was acknowledged as she was honored with an award presented by the Metropolitan Atlanta Chapter of the National Coalition of 100 Black Women at their 12th Annual Unsung Heroines Gala on August 16, 2008. She brings sunshine; she brings rain, an open heart and a helping hand. She’s a Heroine, an UNSUNG Heroine. Softly, gently and quietly she walks, making a difference no matter the task. With power and honor the helps one and all. She’s a Heroine. She flies like an eagle, has the force of a storm; she’s an ordinary woman, yet not just the norm. See the smile on her face as she touches each one, for the joy that she brings is for all, not just some. She’s a Heroine. 2011 (Summer) – Featured in Trust the Leaders, a publication of Smith, Gambrell, Russell LLP law firm to highlight Rosie’s accomplishment in transforming the lives of women recovering from substance abuse. 2011 Certificate of Achievement (Deborah Daughters, Peace Baptist Church). Recognized for outstanding community service, leading, serving, and giving. 2010 Volunteer of the Year award (Peace Baptist Church, Decatur, GA). Recognized for selfless service to the church body and the community at large. 2010 – A Resolution from Representative Earnest Coach Williams, District 89 Georgia House of Representative.